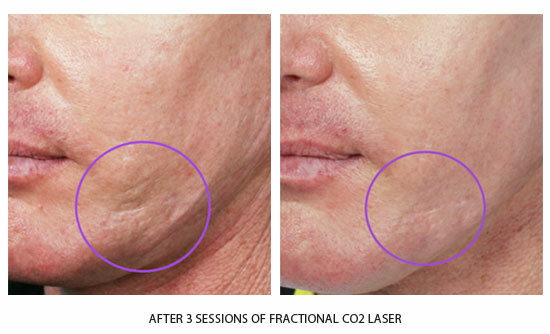 For many patients, ablative laser resurfacing can reverse 5-10 years of aging, wrinkles, and sun spots. 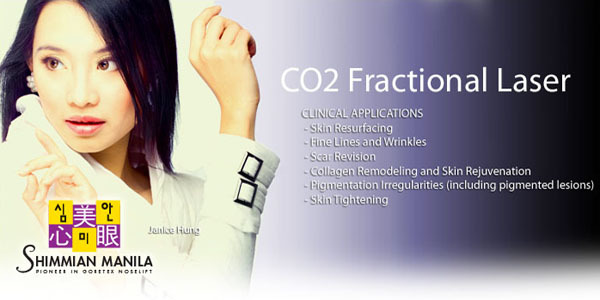 Typically, intrinsic aging and sun damage outpace the ability of the body to produce new collagen. 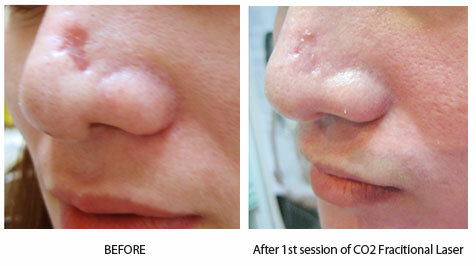 CO2 treatments reverse this trend, by stimulating collagen production for as long as six months after a procedure. Use alcohol to remove excess sebum from the surface of the skin. This allows EMLA to be more efficiently absorbed. Apply a topical anesthetic to target skin regions. – allow 40 to 60 minutes for the anesthetic to react with the skin. 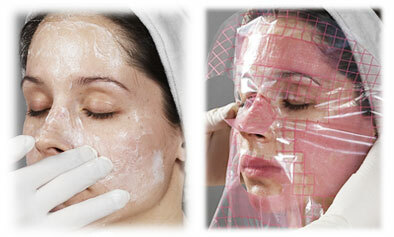 – placing the grid mask/sheet on top of the anesthetic ointment may help the skin to absorb and react with the anesthetic. The anesthetic can be left on the skin surface without removal. 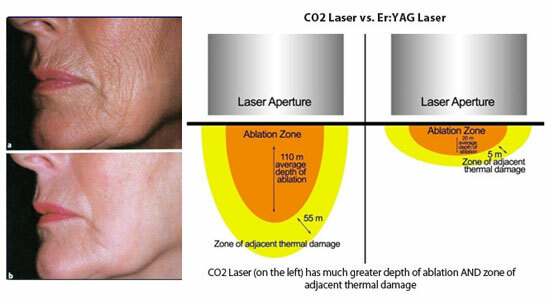 LASER will still radiate through the anesthetic, and the effects will be the same. After treatment, apply a cooling collagen mask for soothing effect. After calming down the skin, apply moisturizing lotion and suncream. Note: patients can wash, shave and even apply cosmetics to treated areas after session. Generously Moisturizing the skin will help to rapidly reduce postoperative redness and swelling. Epidermal debris will aso benefit and peel efficiently and more naturally. Avoid excessive sun exposure. Sunblock cream is always recommended when heading outdoors. Sunblock cream also works to protect the fresh new skin that emerges during the peeling process. While redness remains, avoid heavy drinking and exercise as well as dry climate or excessive heat such as saunas.